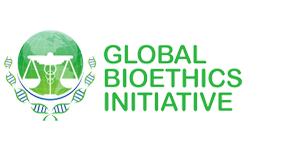 The Committee on Non-Governmental Organizations nominated Global Bioethics Initiative for Special Consultative Status with the Economic and Social Council (ECOSOC), the United Nation’s central platform for debate, reflection, and innovative thinking on sustainable development. GBI is one of only a few organizations to receive such a status. In this capacity, GBI will be able to offer policy recommendations directly to those who craft and initiate legislation and participate in intergovernmental meetings of the United Nations. GBI has been associated with the United Nations Department of Public Information (DPI) since December 2014. DPI aims at facilitating the exchange of information and the development of partnerships within the United Nations as well as with nonprofit organizations around the world. Many of the issues addressed by GBI, including reproductive rights, human organ trafficking, and the ethics of population aging, are important to other United Nations and United Nations-affiliated agencies. The Mahidol Oxford Tropical Medicine Research Unit (MORU) develops effective and practical means of diagnosing and treating malaria and other neglected diseases such as melioidosis, typhus, TB and leptospirosis. MORU was established in 1979 as a research collaboration between Mahidol University (Thailand), Oxford University (UK) and the UK’s Wellcome Trust. MORU’s main office and laboratories are located within the Faculty of Tropical Medicine at Mahidol University in Bangkok, Thailand, with MORU study sites and collaborations across Thailand, Asia and Africa. Rapid progress in life-sciences, medicine and biotechnology has provided us access to new ways of treating, preventing and even curing human diseases. As the impact of these advancements on individuals, communities, and societies grows, so does the importance of bioethics, a field which emerged approximately fifty years ago. Through both a theoretical and a practical endeavor, bioethics allows us to discuss and understand our deep moral concerns, fears, and hopes regarding the impact of the medical sciences and biotechnological advancements on our lives. Visit the GBI website for more information. Why Host the International Bioethics Summer School? Review important ethical, philosophical, and social problems in medicine, health, and biomedical research through the scope of global perspective. Develop critical skills for evaluating and articulating ethical and philosophical claims, arguments, and goals frequently found in medical and biomedical research literature and policies. Formulate, present, and defend ethical positions on a bioethical issue and to be able to communicate these ideas and conclusions effectively.